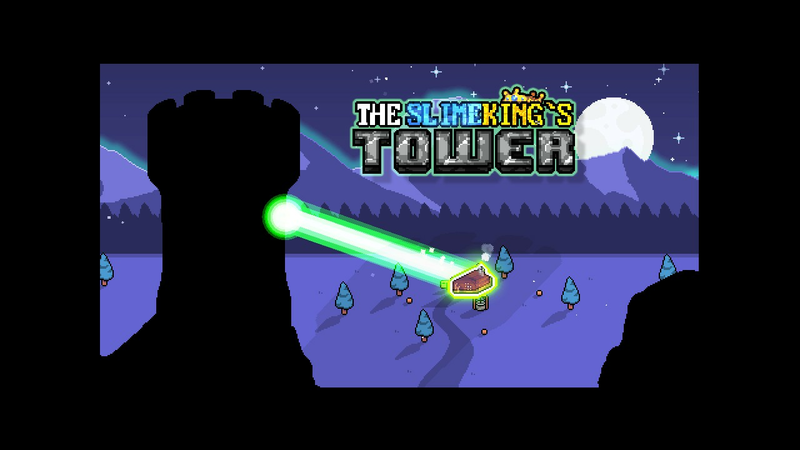 The Slimeking's Tower is an action-roguelike game where you'll have to reach the upper floor of a tower where the grumpy king of the slimes is waiting for you to kick his sticky face and retrieve your people's moustaches back! Are you looking for the ultimate adventure game that offers you incredible gameplay and a stellar soundtrack? Welcome to The Slimeking's Tower, an amazing, action packed game that allows you to explore a massive set of dungeons with one single goal, and that is to get rid of all slime that comes in your way. The Slimeking's Tower allows you to acquire items as you eliminate slime, and these can be used in order to further improve your abilities. 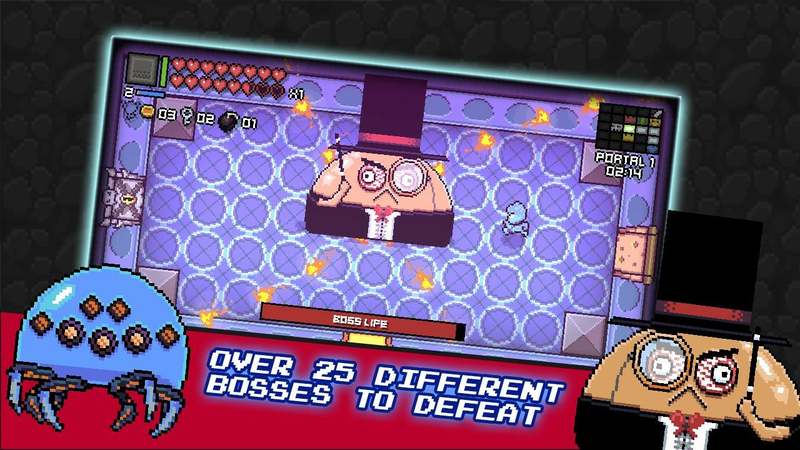 There are many boss battles in the game, and in order to defeat these massive monsters you need to use all skills, abilities and items at your disposal. Exploring the dungeon depths has never been so much fun and filled with excitement! Did I mention that the tower changes every time you play? Well, that's it, items, enemies, bosses and rooms may change the next time you go in! Within The Slimeking Tower you can also find ranking capabilities, the ability to change camera view as well as plenty of other cool features. 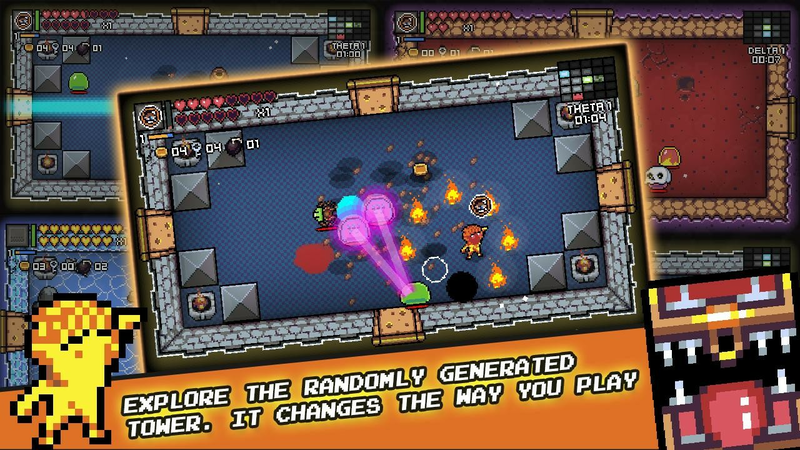 Destroy urns, browse each portion of the level and eliminate the Slimeking, all while enjoying many gameplay opportunities. 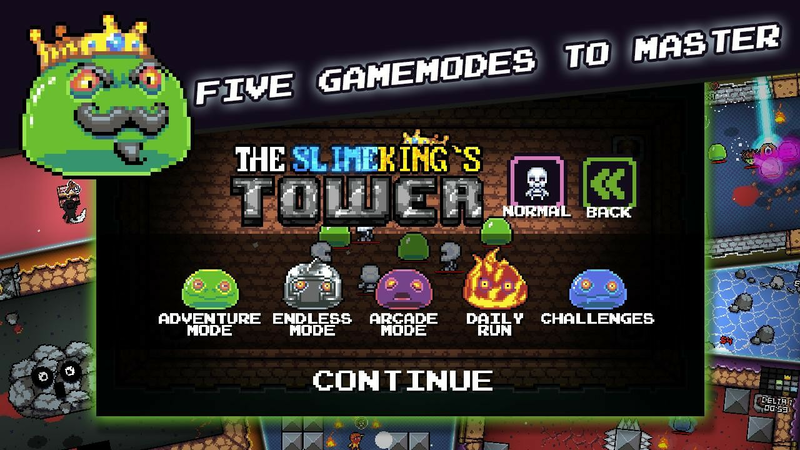 With The Slimeking's Tower you can find dozens of hours of complete, action packed fun, so don’t hesitate and press the Install button, then enjoy an amazing, never seen before adventure as you try to kill the slime king! ■ Explore a procedural generated tower that changes every time you play. 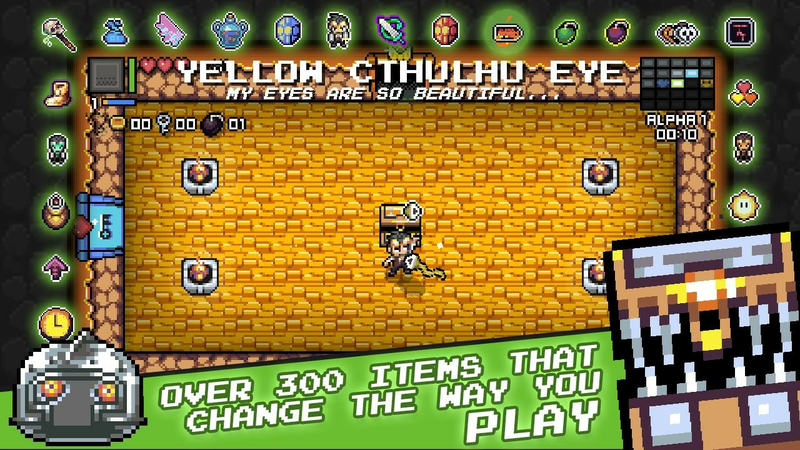 ■ Collect over 300 items as you explore the tower that will change the way you play. ■ Unlock different characters with unique abilities and equipment. ■ Five different gamemodes to master. 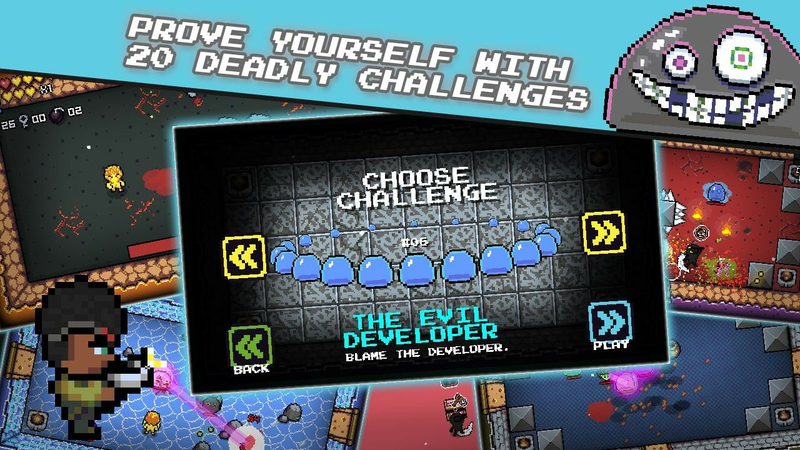 ■ Prove yourself by beating 20 deadly challenges. ■ Slay over 100 different enemies and bosses. ■ Pet system with buffs that helps the player. ■ Rankings for the different gamemodes and difficulty levels. 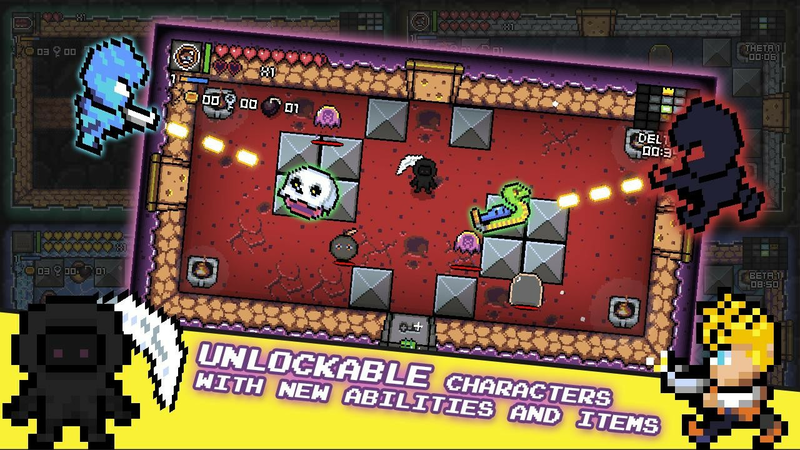 ■ Play daily runs with a new crazy combination of items that changes every day.